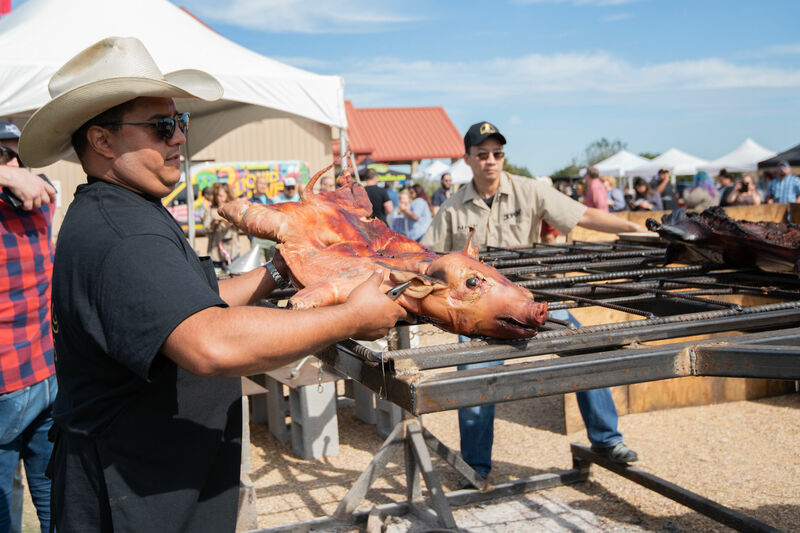 Feges BBQ, Gus's Fried Chicken and Willow's Texas BBQ aren't messing around with their meats or their veggies. Food court barbecue never tasted so good. In April a Quinnipiac poll declared, to the surprise of some, that one of the most popular politicians in America was none other than Nikki Haley, who met with the approval of 63 percent surveyed. How much of this support may be traceable to the UN ambassador’s love of collard greens is impossible to say, but few appear to have done more for that Southern staple’s admirers, small as such a base might be. Back when she was South Carolina’s governor, Haley actually went so far as to sign Senate Bill No. 823, declaring collards the state’s official vegetable. (“Whereas, collard greens are a healthy addition to any Southern meal…”). And whatever one’s view of her international diplomatic efforts, Haley’s star is undoubtedly rising, and with it—kismet!—the reputation of that brassica she vigorously championed. Indeed, with kale having mercifully left the stage and brussels sprouts enjoying the last of their 15 minutes, collards may well be on their way to a moment. Houston’s chefs, ever on food fashion’s cutting edge, appear uniquely positioned to capitalize on the coming greens revolution. Hardly a day goes by that there isn’t a new, quality barbecue purveyor and/or Southern food devotional opening somewhere in town. Think it’s a coincidence that the best of them have a genuine knack for collards? Pshaw. 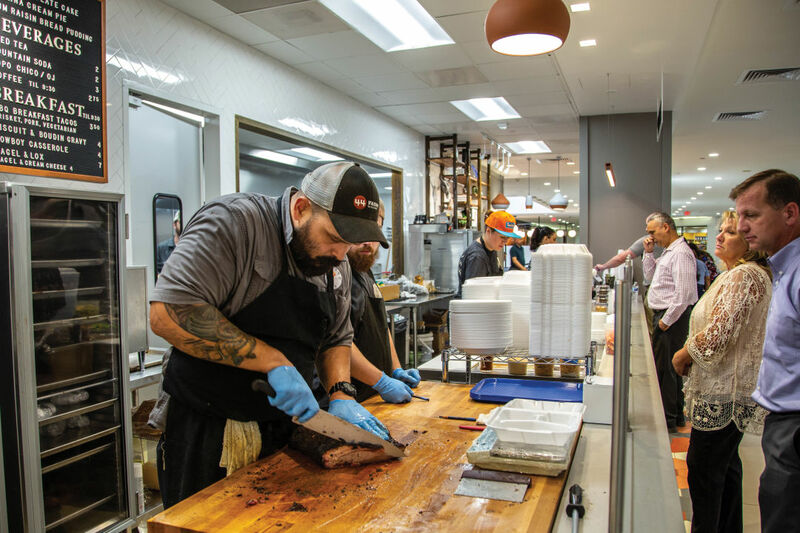 Consider the braised loveliness being served up at the food court at 3 Greenway Plaza, of all places, where Feges BBQ's brick-and-mortar location has drawn crowds of the faithful ever since its March inception. Buttery, rich, and just this side of stewed, the collards are part of an unusual veggie commitment by Patrick Feges and Erin Smith, the otherwise carnivorous couple behind this standout. Smith has concocted a dozen or so distinctive and flavorful sides, among them a bright and crunchy cucumber salad, delicious Moroccan spiced carrots, and a kale salad with a perfect champagne vinaigrette, along with fine renderings of the usual suspects, from elote to potato salad to, yes, collards. The fact that none of these accounts for the long lunchtime lines at Feges says less about the sides themselves, of course, than the meat-adoring city it serves and rarely disappoints. Indeed, with the exception of a brisket that—while exceptionally well-smoked—was overly salted, there is spectacular barbecue all around. The ribs are juicy and perfectly rubbed, the pulled-pork sandwich luscious and never offensively sweet, the in-house boudin and other sausages light and un-greasy, the pork belly even more mouth-melting than expected. 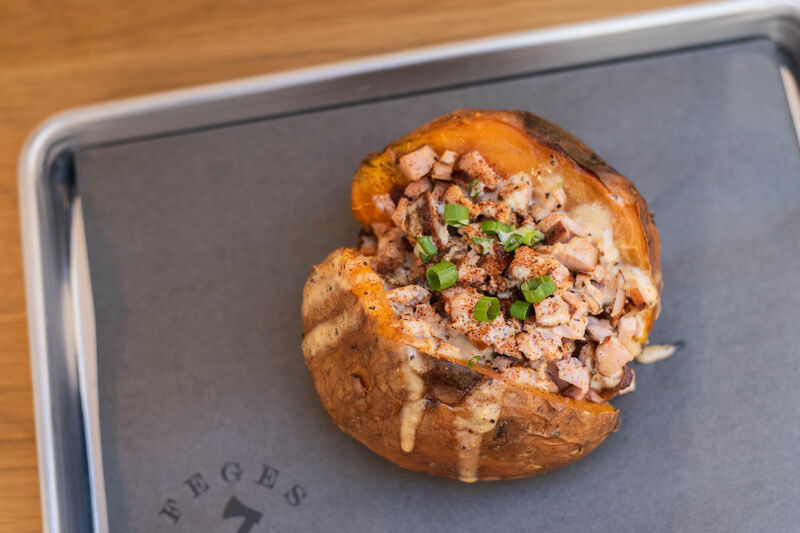 Such is the well-rounded nature of the Feges menu that even its desserts—normally the weakest barbecue-joint offerings—are noteworthy. And while the banana cream tart with caramel is the popular favorite and justifiably so, a chocolate cake cheekily covered in ribbons of—wait for it—peanut butter and jelly is a delightful surprise. All of which is to say: Feges is the rare smoke palace that actually repays a trip to the food court, while 3 Greenway Plaza is something rare too—a lunch-only food court where eating needn’t be shame-based. Did I say lunch-only? Yes, Feges’s 11-to-3-ness is unquestionably the main draw, but you can also snag some great barbecue breakfast tacos from 6:30 on, along with biscuits slathered in boudin-inspired gravy, and the savory bread pudding known as cowboy casserole, on our visit a hearty mélange of eggs, brisket, and cheddar cheese. Not quite ready to ditch breakfast convention? Try a bagel, which comes accompanied, naturally, by a few smoky cream cheese options. 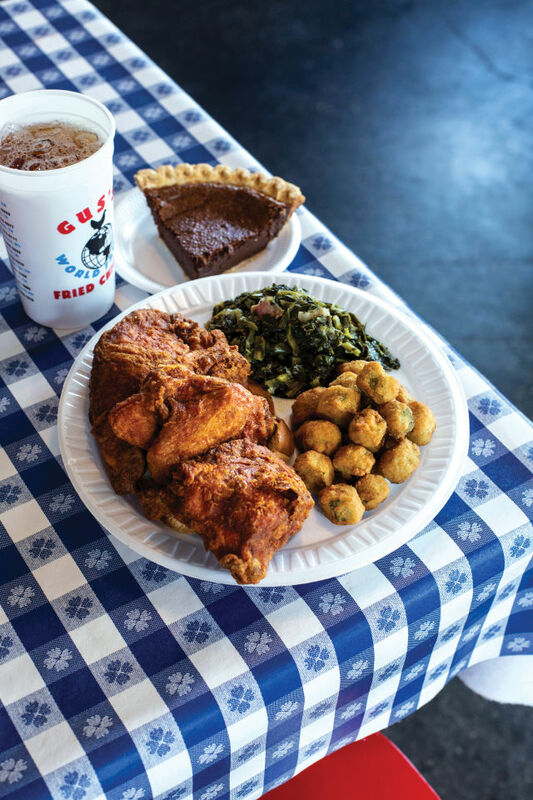 Chicken and sides are equal attractions at Gus's. Healing our nation’s deep divisions is a lot to ask of wings and thighs, but if any chicken joint is up to the task, it’s Gus’s, which has already worked its magic on bitter adversaries elsewhere, namely the Spicys and the Milds. The flavor profile of Gus’s coating is somewhere in between, yet never feels like a compromise, its taste locked in by peanut oil, which brings a satisfying crunch to everything Gus’s fries in it, from chicken to okra to pickles to green tomatoes. And the restaurant’s greens are a diplomatic triumph Haley herself might admire—lovingly soaked in turkey broth and certain to delight collard connoisseurs everywhere. 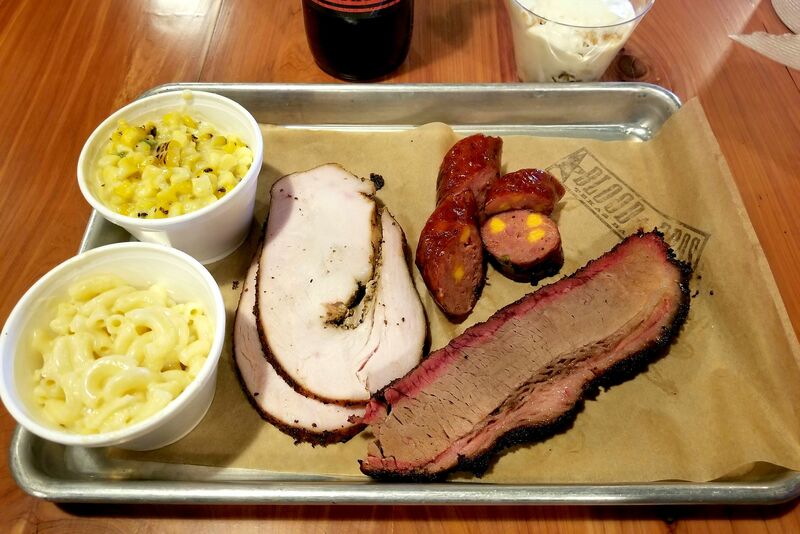 Indeed, by some accounts, greatness in greens is impossible to achieve without pork accompaniment, an opinion no doubt shared by Willow’s Texas BBQ and Jasmine Barela, who like Erin Smith created some signature sides for a barbecue joint eponymously named for its pitmaster, in this case local fixture Willow Villarreal. 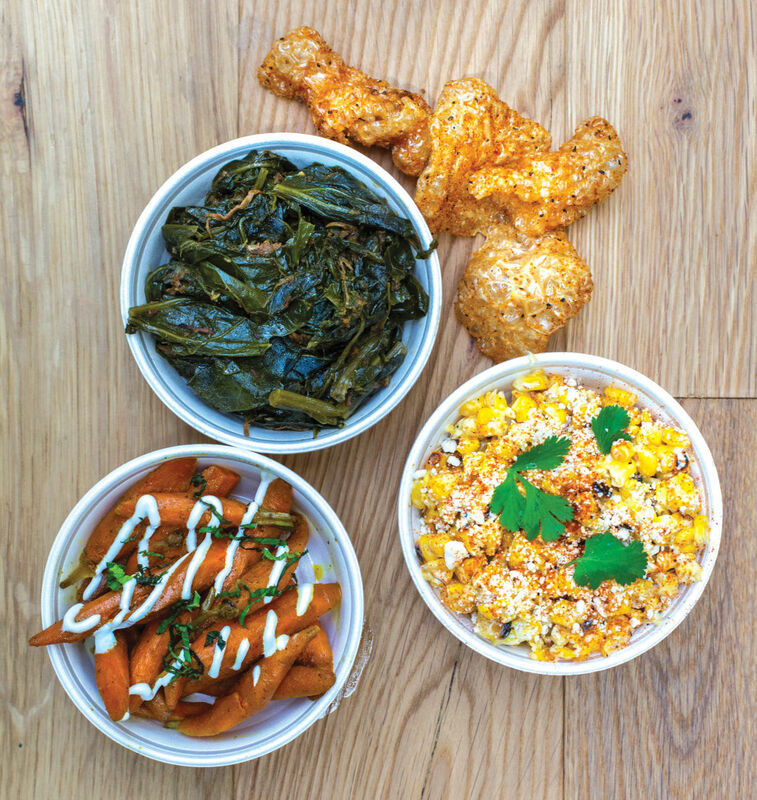 Barela’s collards are as bright as the cherry-red food truck from which they’re served—parked for the foreseeable future on the grounds of Big Star Bar in the Heights, and open for business Thursdays through Sundays only. 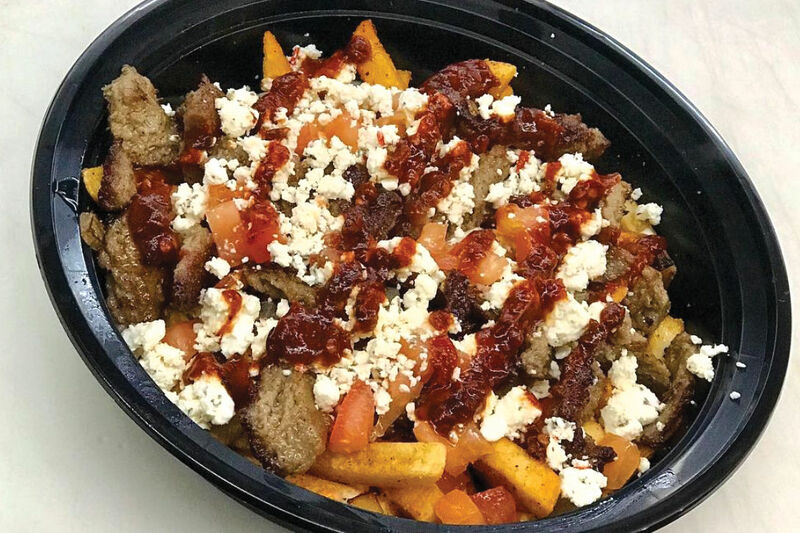 While the sides on offer may vary, the good news is that you can’t lose with any of them, from the collards, to the terrific marinated tomatoes, to the loaded potatoes, to the smoked elote. Willow Villarreal and Jasmine Barela sell their excellent 'cue at Big Star Bar. 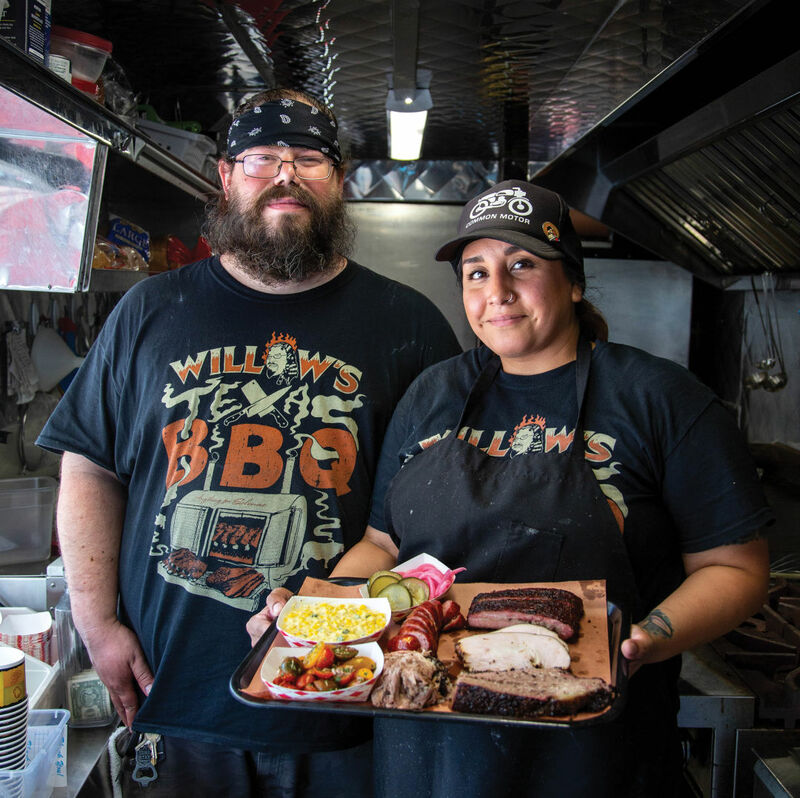 Thanks to Villarreal and his kindred love of tinkering and experimentation, Willow’s is a match made in barbecue heaven. If sausage isn’t the first meat typically mentioned in smokehouse reviews, that’s because few smokehouses offer anything comparable to Willow’s pepper jack sausage, every cut of which produces a satisfying ooze of cheese. Elsewhere tenderness rules. The brisket has an almost otherworldly softness to it, the ribs tumble off the proverbial bone, and even the edentulous would rave about the pulled pork. Be warned, the Brisket Hug is large and messy. Then again, anyone intrepid enough to order this barbecue sandwich dressed with pickles and pickled red onion and wrapped in a jalapeño cheese donut—hat tip to Hugs & Donuts up the street—gets what he deserves, methinks. Everything in Willow’s truck may be ordered to go or, better yet, enjoyed at picnic tables on the Big Star grounds or inside the bar itself, where dark interiors and labored linoleum conspire to make Big Star seem far older than its 10 years. Which is a good thing, at least where bars are concerned. An unfancy place on a lonely stretch of West 19th Street, Big Star seems largely stocked with a clientele of bar-goers interested in giving other patrons an unsolicited earful. As such, there’s no better place to catch up on whatever it is one needs catching up on, be it neighborhood gossip, the Astros, or, for that matter, the latest rogue move by a governor-turned-cabinet member. In other words, Big Star is fortifying, timeless, and easily overlooked. The collard of bars. $ Southern 1815 Washington Ave.